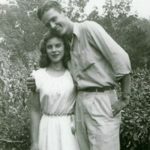 Billie Ricks Simonds, age 87, of Yorktown, VA, formerly of the Copper Basin, passed away on Monday, March 18, 2019. Born on August 26, 1931 in Murphy, NC, she was the daughter of the late Vaughn and Mary Lelia Martin Ricks. She worked as LPN for the office of Dr. Frank Wood for a number of years. She was also preceded in death by her loving husband Troy Wayne Simonds; and one sister, Eunice Ledford. She is survived by her daughter and son-in-law, Janet and Rick Moberg of Yorktown, VA; seven grandchildren, Kienan Bjorklund, Regan Powers, Keslie Scott, Anders Bjorklund, Sven Moberg, Erik Moberg, Elise Moberg; nine grandchildren and numbers 10 and 11 on the way. Funeral services will be conducted on Thursday, March 21, 2019, at 2:00 pm from Akins Funeral Home of Copperhill. Chaplain Jan Moberg will officiate. Interment will follow in the Crestlawn Cemetery. Rick Moberg, Anders Bjorklund, Cory Powers, Chad Scott, Kiff Bjorklund, and Billy Porter will serve as pallbearers. The family will visit with friends at the funeral home on Wednesday evening from 5:00 pm to 8:00 pm. Condolences may be sent to the family online at www.akinsfuneralhome.com. Akins Funeral Home of Copperhill is in charge of the arrangements.